Doug McDonald established the Kicks for Jesus organization on April 7th 1988. 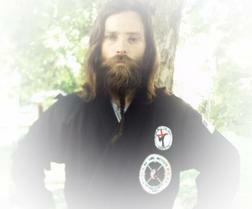 Mr. Doug has been instructing martial arts for 34 years. He is a 7th Dan Master under Grandmaster Haeng Sung and his students have won numerous local, state, and national tournaments. Favorite verse: Revelation 20:2 - He laid hold on the dragon, that old serpent, which is the devil, and satan, and bound him a thousand years and cast him into the bottomless pit. 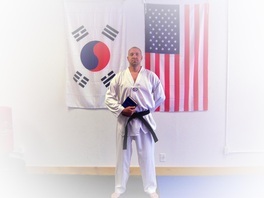 Trevor D. McDonald is a 2nd Dan in Taekwondo and holds a 5th Dan in KFJ. He has over 30 years of training in multiple styles such as Taekwondo, Kung-Fu, Boxing, Kickboxing, and Brazilian Jiu-Jitsu. Favorite verse: The book of Proverbs. Don Benton is a 3rd Dan in Taekwondo and has extensive training in Mixed Martial Arts, Karate, Kickboxing, and Brazilian Jiu-Jitsu. Favorite verse: Philippians 4:13 - I can do all things through Christ which strengthen me. Adam Bowling is a 3rd Dan in Kung-Fu and 2nd Dan in KFJ. Adam has won countless local tournaments. He also was the creator of the scripture katas (forms) that have won local and state tournaments. Favorite verse: Hebrews 4:12 - For the word of God is quick, and powerful, and sharper than any twoedged sword, piercing even to the dividing asunder of soul and spirit, and of the joints and marrow, and is a discerner of the thoughts and intents of the heart. David Grover is a 3rd Dan in Taekwondo. He is a veteran of the US Army where he served with the 82nd Airborne. He was a member of the US Army boxing team. David has won numerous tournament competition awards including two state championships and a national championship. Matt Phipps is the senior pastor at Tick Ridge Church in Otway, Ohio. He is a certified AAU Taekwondo coach that has coached five state champions and two national champions. He is a 1st Dan in Taekwondo. will strengthen thee; yea, I will help thee; yea, I will uphold thee with the right hand of my righteousness. 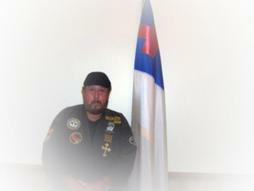 Christian Nunez has over 25 years experience in martial arts. 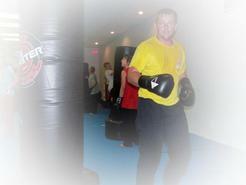 He has been practicing Muay Thai for 6 years and is an accomplished martial artist. Jonathan King is a 1st Dan in Karate and 1st Dan in Taekwondo. Jonathan is the senior pastor of Hills Chapel in Otway, Ohio. Favorite Verse: James 1:5 - If any of you lack wisdom, let him ask of God, that giveth to all men liberally, and upbraideth not; and it shall be given him.